Many people know Jeevanje gardens as a place to chill. The small public park is filled with ballast stone walkways and trees to protect the many idlers from Nairobi University. The irony is that the man who gave the park its name was a hard worker, who started out as a simple hawker. Now I write about him. 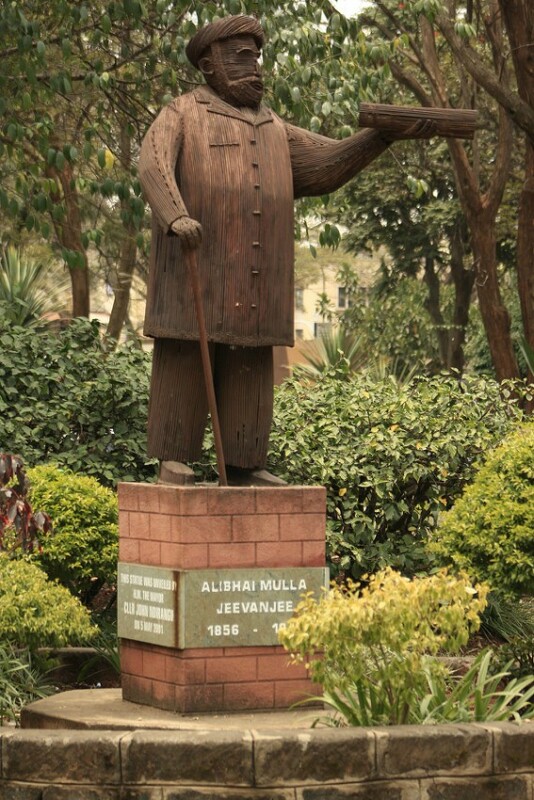 Alibhai Mulla Jeevanjee’s (AMJ) story is closely interwoven with the story of Nairobi’s beginnings. Jeevanjee was a businessman, politician, and philanthropist all packed into one stocky, curious, and illustrious immigrant who made Kenya his home. AMJ was born in 1856 to a rather conservative Islamic sect known as the Bohra sect in Karachi, Pakistan. As the eldest son, tradition held that he had to continue his father’s legacy. But AMJ had other ideas and after his fathers death, he embarked on a journey that took him through India, Australia and eventually Kenya. He became a house-to-house hawker in Australia, an experience that explained his fluency in English. Five years after arriving at the port of Mombasa, and parked with a wealth of experience, AMJ made contact with the first wave of British investors. He was awarded the contract to supply Imperial British East Africa Company (IBEACo) with labour for the Kenya-Uganda Railway. Jeevanjee supplied 31, 985 workers to the railway line. Muslims, Hindus, and Sikhs migrated to Kenya to work in different sections as carpenters, skilled labourers, electrical fitters and skilled metalworkers. Most of these immigrants would become the first Indian generation in Kenya. Once the contract ended in 1900, Jeevanjee moved to supplying building and maintenance materials to the Lunatic Line, making a fortune in the process. He also expanded his construction business, eventually building most of the earliest post offices, government offices and railway stations in Nairobi. It is alleged that Jeevanjee once owned 70 percent of Nairobi when the city was still a sprawling township. He also owned a significant part of Mombasa. He was arguably the richest man in Kenya at the time. He eventually sold most of the land to other Asians, the colonial government, and settlers. 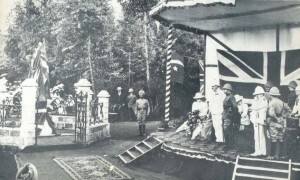 On the media front, Jeevanjee launched the African Standard in Mombasa. The print newspaper is today known as the Standard newspaper. AM Jeevanjee was also the first non-white appointed to the Legislative Council. 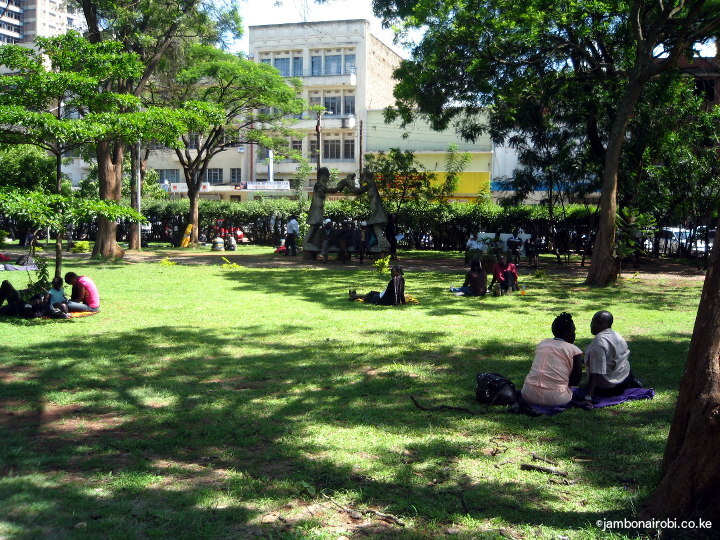 Today, the only remaining evidence that Jeevanjee once ruled the Nairobi skyline is the 5-acre Jeevanjee Gardens situated between Muindi Mbingu Street and Moi Avenue. Jeevanjee built the gardens in 1904 and donated it to the colonial administration in 1906 as a public park. He envisioned a recreational, serene place in the middle of the growing city where people could rest at any time of the day. Knowing full well that the gardens would eventually be surrounded by the rapidly growing city, Jeevanjee brilliantly took advantage of the scheduled visit by Queen Victoria’s son, the Duke of Connaught, to fund the building of a Queen Victoria statue and its erection at the gardens. The unveiling of the statue by the Duke of Connaught was one of the most colorful events of the royal visit. It also played another, more critical role, as it ensured that any plans to annex the land would be plans to remove the monument of royalty. 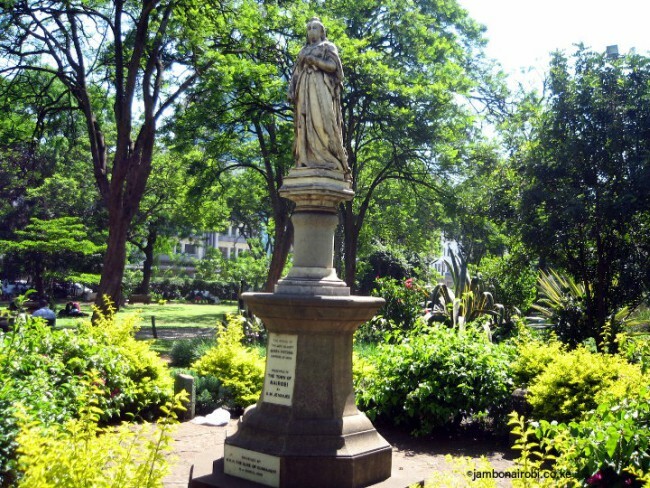 The statue, often mistaken for a Catholic relic of a saint, stood for more than a century until February 2015 when it was vandalized by unknown people. A statue of AMJ, however, still stands as the centerpiece of the recreational gardens. 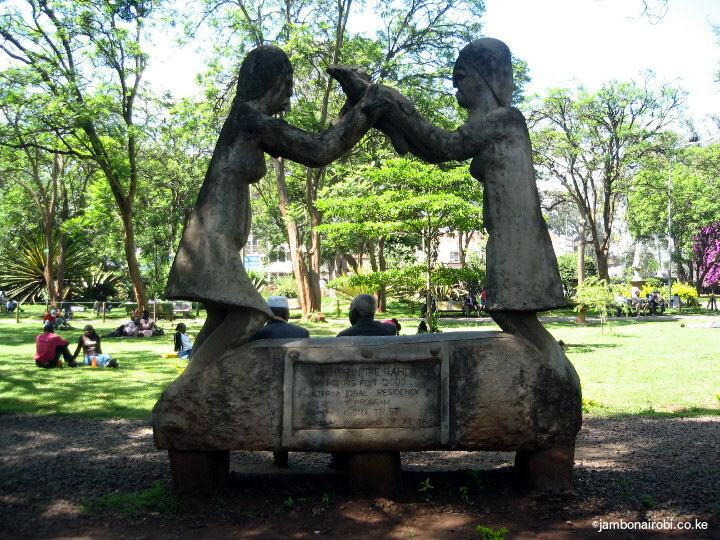 As the rest of the Nairobi skyline has changed, Jeevanjee Gardens has survived as a tribute to the man who built Nairobi.